Disclosure: Boots & Hooves Homestead may earn a commission for purchases made after clicking links on this page. View our disclosure policy for details. Spring is here and many of us are planning and prepping for garden season. Samantha from WholeHearted Homestead is sharing the benefits of companion planting and her best tips on getting started. Learn what plants grow well together and how to get started with companion planting. From starting seeds to harvesting your vegetables, gardening is hard work. Make it easier to grow abundant and flavorful vegetables by learning to companion plant. 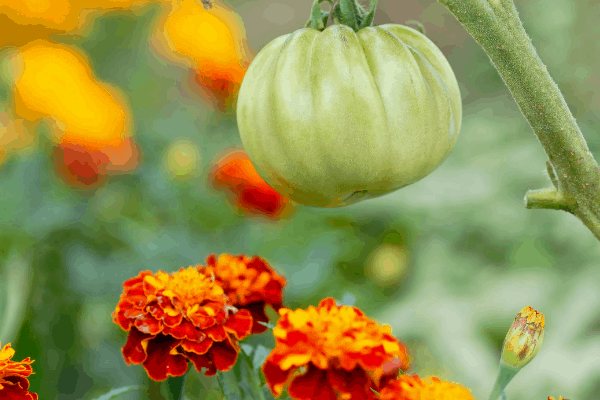 Growing companion plants together will boost your garden harvest and cut down on the time you spend weeding and preventing pests from wrecking all of your hard work. Companion planting gives you more time to sit back and enjoy the beauty of the growing season! Plants are more like people than you may think. They have relationships with one another just like we do. Our friends help us grow, while others only seem to hold us back. Certain plants grown together benefit one another, while others compete and deter each others’ growth. Learning to grow friendly plants together and keeping unfriendly plants apart is known as companion planting. Companion planting is the practice of grouping plants together in the garden to help one another thrive. The goal of companion planting is to increase the quality and abundance of your crop using symbiotic relationships among garden plants. There are probably more benefits to companion planting than we even know about. But, these benefits alone make companion planting a very successful way to garden. Plants can protect each other from the elements. Larger, hardier plants provide protection from damaging weather (sun, wind, heavy rains, etc.) 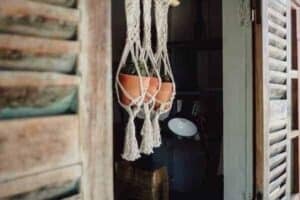 for smaller, more fragile plants. The scent of some plants can deter bugs and pests from the garden. Vining plants can use taller ones for support, while the vines make it more challenging for pests like squirrels and raccoons to reach your vegetables. Some plants add nutrients to the soil, which in turn nourishes neighboring plants. Improving garden soil will lead to a more resilient crop and a plentiful harvest. Flowering plants often attract ‘good bugs’ to the garden. Bees pollinate vegetables while wasps and ladybugs keep aphids and other ‘bad bugs’ from ruining your crops. There are endless possibilities when it comes to garden planning with companions. This is nowhere near an exhaustive list. But, these common garden vegetables and their friends should get you started on the right foot – especially if you are new to gardening altogether. All tomato varieties love basil! Planting basil near tomatoes will enhance the flavor of tomatoes – just like it does in tomato soup and pasta sauces. 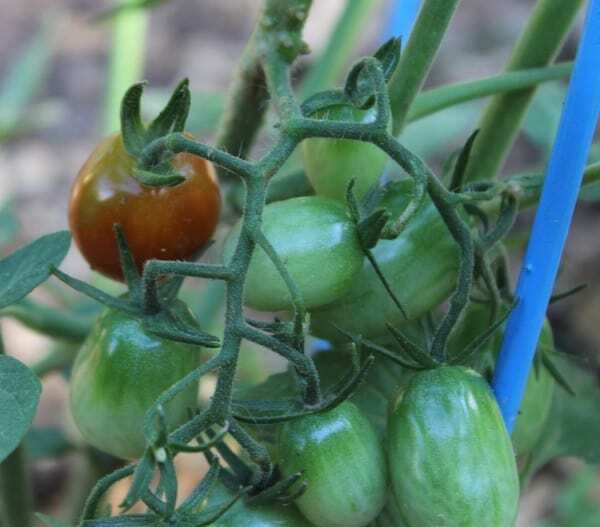 One of the most challenging aspects of growing tomatoes is keeping the tomato hornworms from devouring your plants. 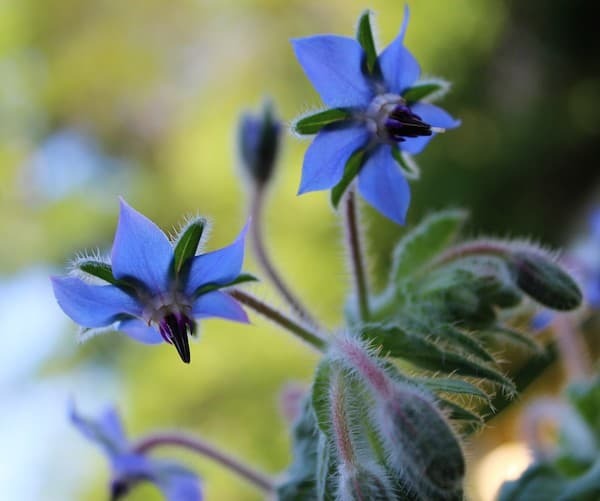 Borage – a flowering, medicinal herb – is thought to deter hornworms, while also attracting pollinators to your garden. My chickens and I love fresh cucumbers from the garden! Cucumbers grow on water-loving vines that need strong support and protection from pests – like the cucumber beetle. Corn and sunflowers can provide cucumber vines a place to coil and climb. The tall-growing supports will provide cucumbers with shade during the summer sun, too. Raccoons looking to swipe corn will be frustrated sifting through unruly cucumber vines, and less likely to reach your crop. Not surprisingly, dill enhances the flavor of cucumbers when they are grown close together. If you grow cucumbers to make pickles, this combination is a must in the garden! Peppers often steal the show in my garden. With their variety of colors, flavors, and levels of spiciness there is definitely something for everyone to enjoy. 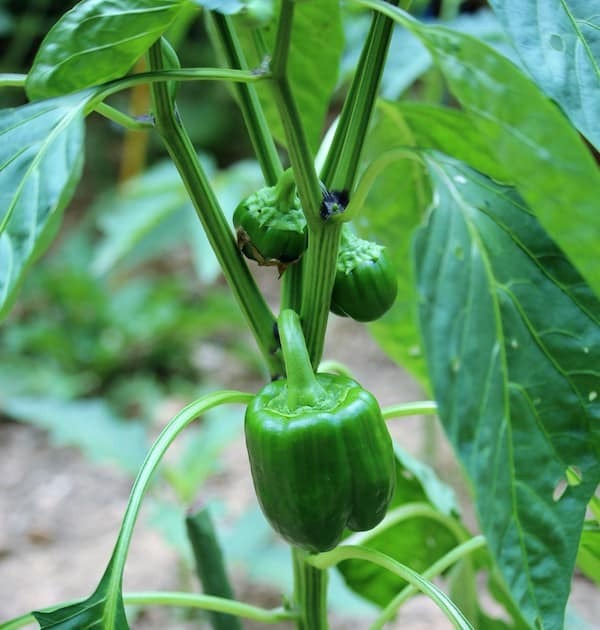 Planting herbs and other vegetables among your peppers can lead to an abundant harvest. Tomatoes and peppers require similar amounts of sun and water – making them good neighbors. Plus, tomatoes will deter beetles that like pepper plants. Not to mention, homemade salsa is delicious! 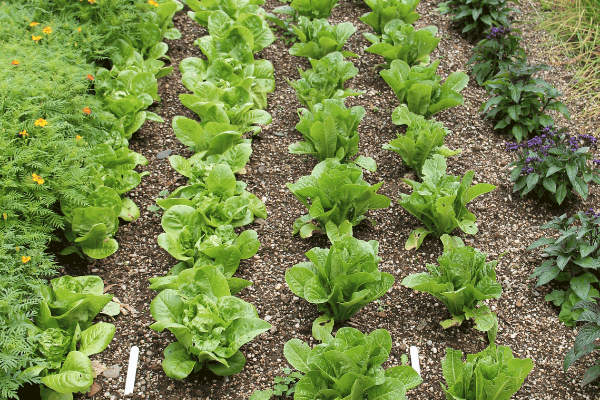 Corn will help block damaging sun and wind, while spinach and lettuce has been known to shade the soil around peppers. This will help to keep the ground moist and weed-free. Sweet corn is a summer favorite. But it takes up quite a bit of space and attracts pesky rodents. Companion planting will make corn a worthwhile vegetable to grow in the garden. Corn is one of the ‘three sisters’ – along with beans and squash. This is perhaps the most famous examples of companion planting from Native American history. Nitrogen from the beans nourish the corn and squash. Corn provides support for the beans to grow up, and the squash suppresses weeds around all three. It’s a prime example of plants working together! Broccoli is quite particular about its neighboring plants. It isn’t a fan of nitrogen, so beans and peas planted too close could stunt its growth. Broccoli also requires a lot of calcium. Planting fellow calcium lovers (carrots, tomatoes, cabbage) nearby could lead to competition. Luckily, there are many plants that will work well with broccoli! Cool weather vegetables like lettuce, spinach, and radishes fit nicely under the broad leaves of broccoli – helping to keep weeds at bay. Growing potatoes and onions close to your broccoli will enhance its flavor, while basil, thyme, and dill drive away pests. Carrots are one of my favorite vegetables to grow. They are so nutritious and brighten up winter dishes – reminding me of the warm summer months it took to grow them. Plus, any vegetable you can put in cake is alright in my books! Carrots make especially good friends with plants from the allium family – onions, leeks, chives, etc. These plants, along with other aromatic herbs, will deter carrot flies. Tomatoes and carrots are often grown side-by-side. This leads to shorter, but much more flavorful carrots. Tomatoes will shade the carrots and also deter carrot-loving pests. Zucchini is easy to grow, but can be overtaken by bugs in a flash. Companion planting with zucchini has definitely cut down on the time I spend on pest control. Parsley, radishes, corn, garlic, and mint will drive away aphids and the dreaded squash vine borers. Zucchini also loves nitrogen. Beans and peas planted nearby will fix nitrogen in the soil making zucchini very happy. Companion planting will increase your harvest, enhance the flavor of your crops, and save you time and energy. It is a fascinating way of putting your garden to work for you! Don’t get hung up on trying to do it just right, though. Start small with these vegetables and add more intricate partnerships as you become an experienced gardener. Learn as you go. You might even stumble upon additional plant friendships you never thought of before!